Indigitization 2018 Grant Cycle is Now Open! Indigitization is pleased to announce the seventh call of applicants for the annual Indigitization Grant Program. 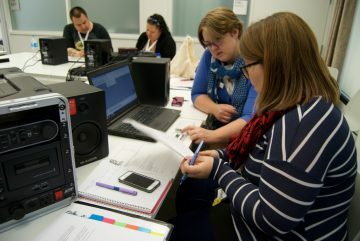 The Indigitization Grant Program is a matching funds program supporting audio-cassette digitization in partnership with Indigenous and Aboriginal communities across British Columbia. The program seeks to facilitate communities and organizations in converting audio materials on cassette to uncompressed digital file formats, such as broadcast wave. Matching funds are provided by the Irving K. Barber Learning Centre of up to $10,000 per project, while participants also receive training and support throughout the digitization cycle. The program, which accepts applications annually, also seeks to promote enhanced and appropriate access to these recordings for communities, and where possible, the broader public. The Indigitization Grant has been revised with a new application form and guidelines. Previous and new applicants are encouraged to submit proposals. B.C. First Nations, Métis and Inuit community institutions and agencies that have the preservation of information resources as part of their mandate are eligible to apply for funding. Other Aboriginal organizations will be considered with a statement of support, such as a Band Council Resolution from local governance, indicating how the materials produced will be managed. At-risk audio materials in B.C.’s Aboriginal communities may require digitization before access protocols can be established. Although enhanced and open access to cultural materials is a primary goal of the Learning Centre, projects that seek to establish protocol-based access are encouraged to apply. To apply, please email the Application Form as a PDF document to in.digitization@ubc.ca by 5pm on February 5th, 2018. See below for Application Guidelines and Application Form. All applicants will receive a confirmation email within 72 hours from the project coordinator confirming that the application was received. 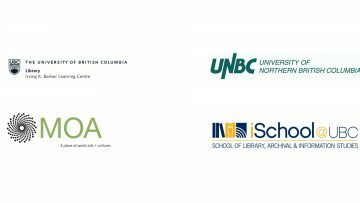 The program is a collaboration between the Irving K Barber Learning Centre, and the UBC Museum of Anthropology, among others. The wider mandate of the Indigitization Program is to focus on the conservation and preservation of Indigenous and Aboriginal community information resources. This entry was posted in News, News And Events by claire forsyth. Bookmark the permalink.